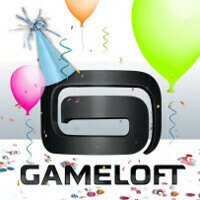 Two days ago, we heard that Gameloft would be setting up a pretty amazing sale on its games for the new year, and it looks like the sale has begun, bringing all paid Gameloft games down to just 99 cents. Well, almost all games. As of the time of this posting, Modern Combat 3 was the only game to not get the price drop yet. All of the Gameloft games will be available for 99 cents until January 5th at 10AM PST, except of course for Modern Combat 3. MC3 will only see the price drop for 24 hours, so you'll have to grab that one quickly if you want it. Many of the Gameloft games are normally priced at $6.99, so this is definitely a good deal, and there are some solid apps in the mix. Just be warned that most will require pretty sizeable data installs after the initial app download, so be sure you have a couple gigs of space free on your SD card or internal storage. An insight when does the 24 hours start for Modern Combat 3? Still showing $6.99 in Android Market. All others are listed as $0.99. Funny, I don't see any price drop at all. Still seeing 2.99-6.99. Even for mc2. I dont hink phone model would matter but I have an sgs2 so even if it does I should still see it. In addition to Modern Combat 3, there are other games that are not $0.99. N.O.V.A 3D, N.O.V.A 2 3D, Shrek Kart 3D, Asphalt 6: Adrenaline 3D, Shadow Guardian 3D, Modern Combat 3 3D, Dungeon Hunter 2 3D, Assassin's Creed - Altair's Chronicles 3D, Let's Golf! 2 3D, GT Racing: Motor Academy 3D, Etrenal Legacy 3D and Real Soccer 2011 3D are all still showing the $4.99 price tag.